This poster shows a stunning artwork to celebrate the 25th anniversary of the "Elder Scrolls" series. 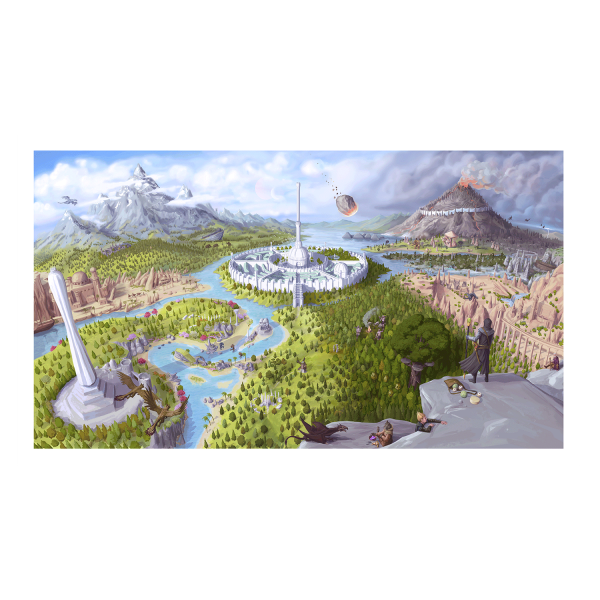 The Tamriel artwork is printed on high-quality paper, measuring 80x50cm. Manufactured by Gaya Entertainment.